Through the lens of four decades in nonprofit leadership, Michael J. Marks can see the big picture—and bring it into view for our clients. Michael’s wealth of experience organizing and running nonprofits makes him ideally suited for that role. His proven track record includes transforming organizations, beginning major growth initiatives, and identifying strategic opportunities and developing plans to achieve them. In addition to conducting planning studies and advising on campaign strategy for our clients, he provides unique insight on day-to-day challenges. After 13 years in the national health agency business, Michael devoted the next 30 years to the museum field. He served as president/CEO for three museums: the Museum of Contemporary Art in Virginia Beach, The Health Museum of Cleveland, and Coastal Discovery Museum in Hilton Head. Among his many successes were planning and executing capital campaigns up to $20 million, developing master plans, establishing endowments and taking part in fundraising campaigns that have raised over $100 million in total. Michael holds a BA in political science from the University of Kentucky; participated in the master’s program in urban studies, community health planning, from Old Dominion University; earned a museum management certificate from the University of Colorado; and completed the Executive Education Programs at Harvard University Graduate School of Business and the Weatherhead School of Management (as Professional Fellow) at Case Western Reserve University. 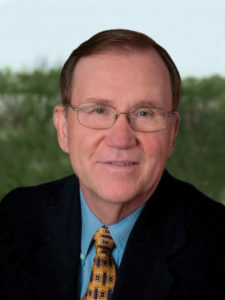 He is currently a member of the Rotary Club of Hilton Head Island, Treasurer of the Bicycle Friendly Advisory Committee for Hilton Head Island, and Board Member of the Community Foundation of the Lowcountry. In addition, he is a member of the Hilton Head Island Hall of Fame Committee, and Chair of the Public Art Program for Hilton Head Island. He previously held leadership roles with the Virginia Association of Museums, the Ohio Museums Association, The Association of Midwest Museums and the Cleveland Cultural Coalition.